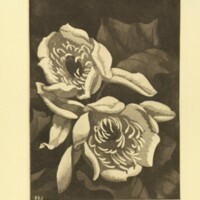 A lithograph entitled "Flowers of the Tulip Tree" by Marian Hebert. 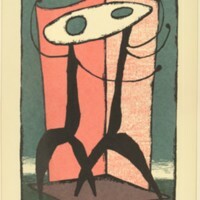 Lithograph depicts two flowers. 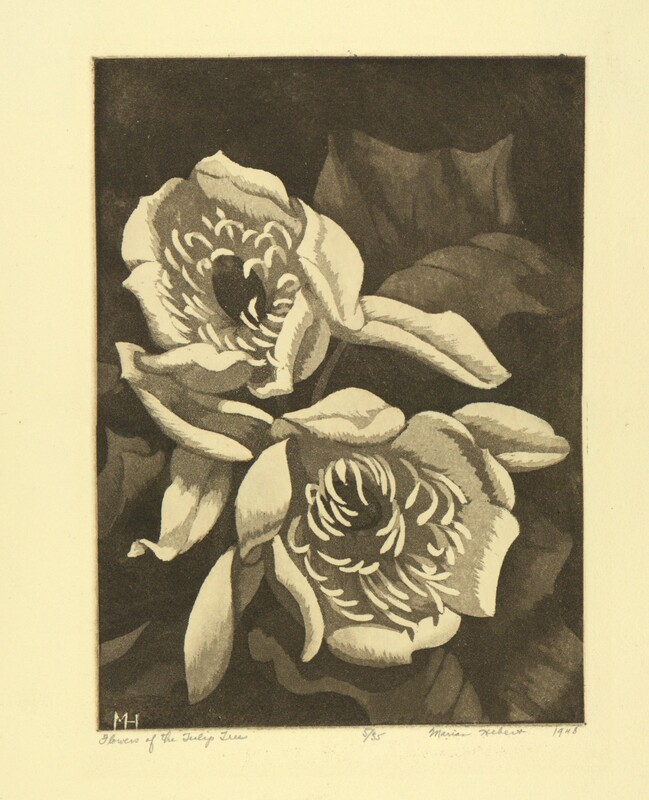 "Flowers of the Tulip Tree"
Hebert, Marian, “Flowers of the Tulip Tree,” Digital Exhibits, accessed April 22, 2019, https://cuexhibits.wrlc.org/items/show/65.